SDSU’s Hobo Day, a part of homecoming week, first came about in 1912 when a costumed parade included hobos. The present-day Hobo Day parade includes a 1912 Model-T Ford that first appeared in the 1939 parade. 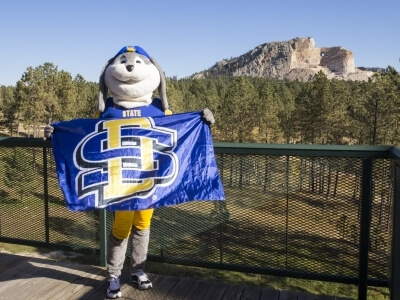 The SDSU Coughlin Campanile is a famous South Dakota landmark. At its completion in 1929, it was then South Dakota’s tallest building at 165 feet high.